A WORLD CLASS ENTERTAINMENT CENTRE: The Cyprus Amusement Park, a first of its kind, in Cyprus, promising to take the entertainment industry in Cyprus to a new level! DJK Group Of Companies is primed to take advantage of an expanding and profitable industry, with projects designed to provide the type of family entertainment that the current market trends demand, including keeping abreast with trends that are shaping the way we experience entertainment. The Cyprus Amusement Park, an attraction in itself, will be the flagship of entertainment for locals and visitors, in Cyprus. With approximately 360 days of sunshine, Cyprus is an ideal holiday destination for tourists wishing to take advantage of the good weather. Each year an average of 2 million tourists visit shores from all over the world in search of quality entertainment and landmarks to visit. With the International airport in Larnaca in close proximity, this project has been designed with the aim of securing maximum output of overseas visitors and local residents to the amusement park. To enable this project to reach international standards the DJK group has brought together a team of renown and respected Architects, Designers, Engineers and Contractors. Their aim is to enrich the Park with architectural and environmental qualities that will accentuate the blending of cultural influences of Cyprus and the Mediterranean region. Concept: In its completed stage, the Amusement Park will accommodate a world-class Entertainment Centre, having ownership to the highest Roller Coaster in Cyprus, a Galleon size boat of historical significance, the latest and most popular rides, indoor games and will play host to live events and entertainment. It is proposed that Cyprus Amusement Park is a traditional family oriented dry theme park in its majority with some wet rides. This project will include a broad range of rides, attractions, games and arcades, food and beverage, live shows, merchandise, souvenirs and local crafts; in a setting appealing to all age groups, local and overseas visitors and offering high quality entertainment. Theme: The Theme of the park will be based on the world renowned stories – the Odyssey or the 12 Labours of Hercules – a perfect fit to the parks geographic location and International Plans. An Exhilarating Amusement Park that promises to take entertainment to a new level! 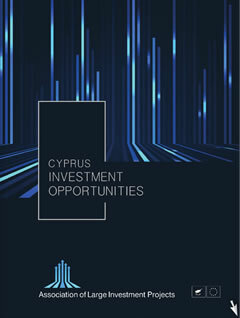 The project is conveniently situated in a triangle between Nicosia, Limassol and Larnaca and easily accessible by 70% of the population within 10-30 minutes driving time. The location is just off the highway, bordered by an excellent road network. Neighbouring facilities include Larnaca city centre, An International Shooting range, Uclan Cyprus University and Larnaca International airport. Future projects will include the Larnaca PGA Golf Resort and Country Club and the Med Marina Development.